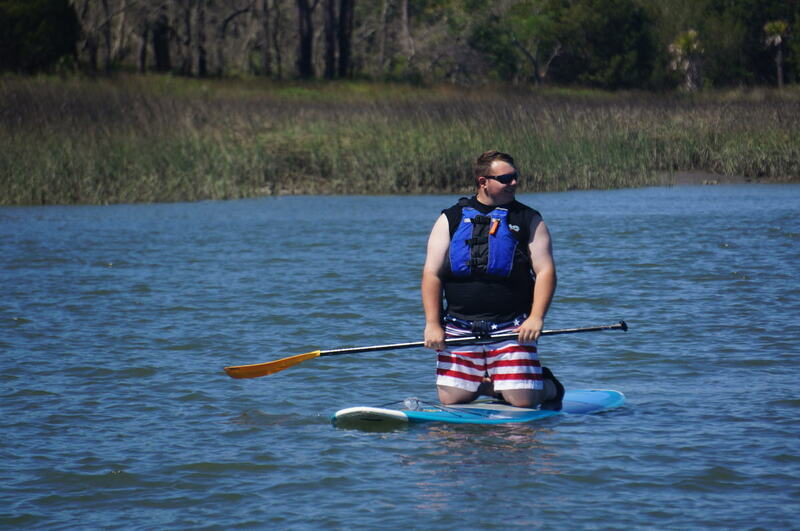 Rent a paddleboard and see the Lowcountry like you have never seen it before. 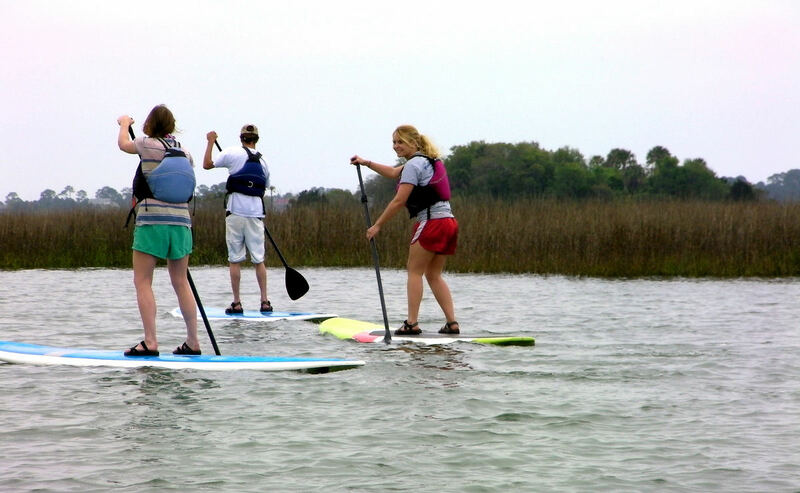 Glide at your own pace through the calm creeks and rivers behind Folly Beach where you will have some incredible wildlife viewing opportunities. While you paddle through this saltwater wilderness you may encounter wild dolphins, wading birds, otters, oyster beds and more. 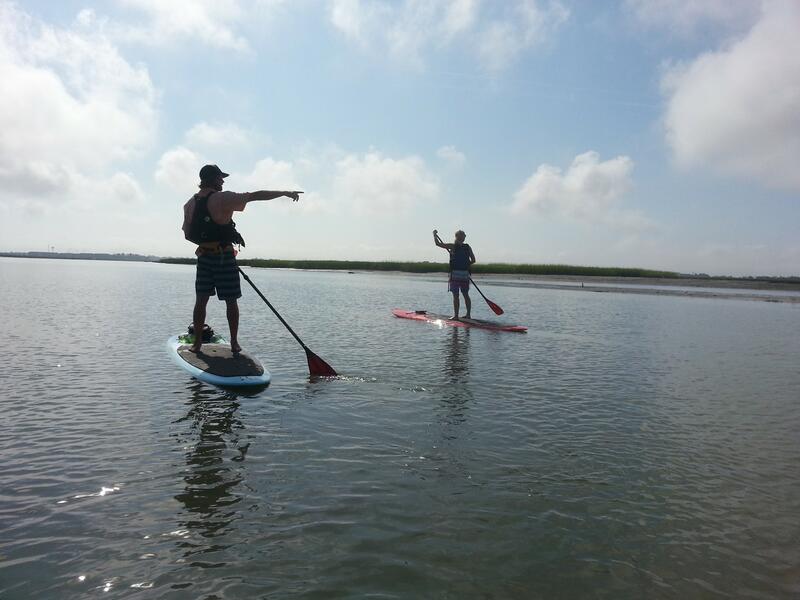 Whether you are new to SUP or an experienced paddler, we provide you with everything you will need to have an adventure you will never forget. We offer new, high-quality paddleboards for rent that are suitable for all experience levels. The brands that we use for our SUP gear include Three Palms, Werner, and Surftech. Detailed paddling instruction, paddleboard, paddle, personal floatation device, a map of the area, dry bag, tidal information, updated weather forecast, secure parking, restrooms, and use of our private paddleboard launch which is far from public boat landings. All participants MUST wear shoes with straps on their feet. All participants must be at least 13 years old and at least one member of the group must be 18 years of age or older. One member of each group must bring a cell phone with them while on the water in case of emergencies. A dry bag is provided. The less wind, the better the conditions will be for paddleboarding. Mornings in the summer tend to be the least windy.